Last Minute Lodging in Door County: Feb. 14-17, 2019 Valentine’s Day, Short Film Fest, and Fire & Ice Festival! 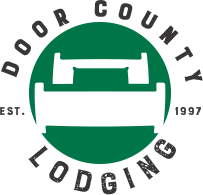 Last Minute Lodging in Door County, WI: Feb. 1-3, 2019 FC Winter Festival, All Things Chocolate, & the Ellison Bay Groundhog Day Parade! Last Minute Lodging in Door County, WI: Dec. 27, 2018-Jan. 1, 2019 New Year’s Eve Weekend! Last Minute Lodging in Door County, WI: Dec. 21-25, 2018 Christmas Weekend! Last Minute Lodging in Door County, WI: Nov. 30-Dec. 2, 2018 Harbor Holiday & Christmas in the Village Celebrations!